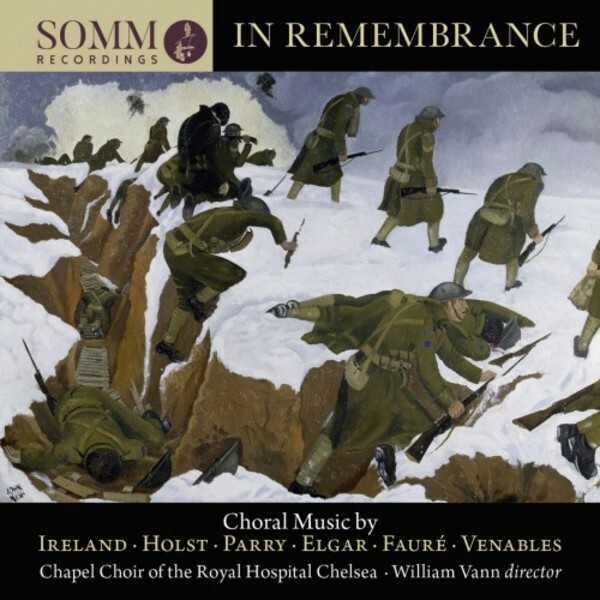 From SOMM, In remembrance, marking the end of the 1914-1918 war, choral music with organ accompaniment by Ireland, Holst, Parry, Elgar, Fauré and Venables with the Chapel Choir of the Royal Hospital Chelsea, conducted by William Vann. In pride of place, Sir C Hubert Parry's Jerusalem, so deeply embedded in the British national consciousness that it has taken on new life as an icon of popular culture, adopted and adapted to many different situations. The text, by William Blake, is visionary, but its meaning is subtle "And was Jerusalem builded here, Among these dark Satanic Mills?". For Blake, writing in the Industrial Revolution, the answer was "not yet". "I shall not cease from Mental Fight, Nor shall my sword sleep in my hand, Till we have built Jerusalem in Englsnd's green & pleasant land". The piece was commissioned by an organization set up in 1915 to raise morale. The version on this reciording is Parry's original, premiered at Queen's Hall in March 1916, with 300 volunteer singers accompanied by organ, (here played by Hugh Rowlands), not the more famous orchestration made by Sir Edward Elgar in 1922. The emphasis in this version is on the unison choir, and the balance of male and female voices, an important consideration given that Parry was soon disillusioned by the growing jingoism of the Fight for Right movement and pointedly withdrew his support. By then the song had been taken up by the Women's Suffrage movement, of which Maude Parry was a member. Parry was delighted, "I wish indeed that it might become Women Voter's Hymn", he wrote, "......and having the vote ought to diffuse a good deal of joy, too." This Jerusalem is thus positioned between the words from the Bible, and a text associated with the outbreak of the 1914-1918 war. 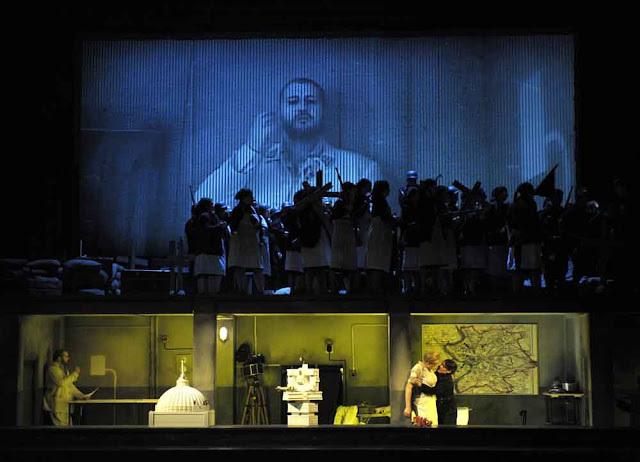 In Greater Love Hath No Man, Johnn Ireland sets the crucial phrase for solo baritone (Gareth Brynmor John), "that we, being dead to sins, should live unto righteousness". Ireland was writing in 1912, before the onset of war, when the sacrifice meant Christian sacrifice. Jesus died for all men (and women) regardless of place and time. For the Fallen, reflects the way the message adapted after the impact of war. The piece was written in 1971 by Dougas Guest (born 1916). Though much of Laurence Binyon's original is belligerent, Guest, who served in the Second World War, sets only one verse, placing emphasis on the sombre, humbling line the words "We shall we remember them". Sir Edward Elgar's setting of They are at Rest, to a text by John Henry Newman, is an elegy marking the ninth anniversary of the death of Queen Victoria, while O Valiant Hearts by Charles Harris, a friend of Elgar, is a postwar reflection on loss. I Vow to thee, My country is Gustav Holst's adaptation of Jupiter in The Planets as the anthem. Its serenity links earthly death with concepts of eternal life, on another plane. Holst's Ode to Death is heard here transcribed for choir and organ (James Orford), as is Gabriel Fauré's Requiem in D minor arranged by Iain Farrington. Ian Venables's Requiem Aeternum (2017) completes the set, a timely reminder that death is a part of the cycle of life. Please also see my review of Earth & Sky - choral works by Ralph Vaughan Willaims, also conducted by William Vann, for Albion Records.